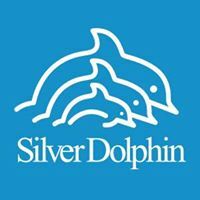 Silver Dolphin brings imagination to life with their line of educational play inspired books. 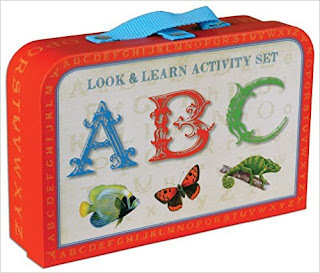 Let your preschooler shine and show you their love for learning. Not only do Silver Dolphin books foster creativity and imaginative play but they create an excellent foundation for beginning words. Pictures are the brains way of connecting words with images. 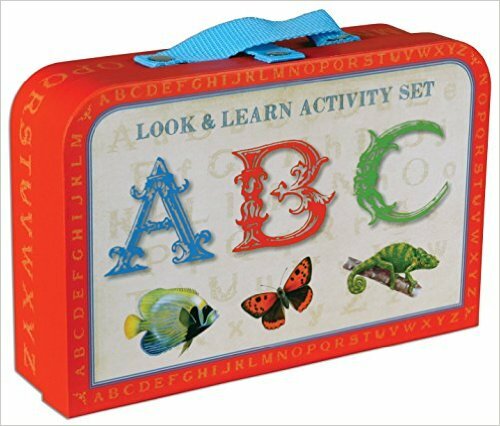 Silver Dolphin's Look and Learn Activity Set : ABC uses images of animals to help children learn letter recognition. My boys are 6 and 8 my daughter is 2 and these books are perfect for toddlers, preschoolers, Kindergarten or just the creative child of any age. 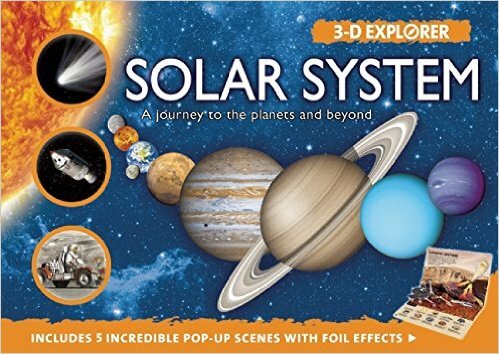 Solar System: A Journey to the Planets and Beyond (3-D Explorer) is the perfect set for the budding explorer or space enthusiast. 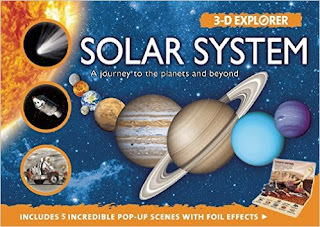 You get an amazing pop-up guide, young astronomers embark on a spectacular 3-D tour of the solar system, from the infernal surface of the sun to the deepest, darkest reaches of space. They explore each of the solar system’s regions in detail; discover the planets, comets, and asteroids; experience the Apollo 11 lunar landing; hitch a ride on the International Space Station; and even traverse the dusty red surface of Mars. Filled with engaging and informative text, it’s an out-of-this-world look at the mysteries of space. My eight year old really loved this one! The last two books we tried were the Adventure Pack: Under the Sea and the Adventure Pack: Backyard. 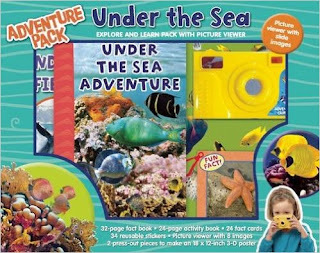 Adventure Pack: Under the Sea takes readers on an exploration of the world’s oceans to meet the fascinating creatures found beneath the waves. On each page of the fact book, kids will encounter incredible marine animals, and the included picture viewer with eight dazzling slide images gives learning an authentic feel. After kids discover sea creatures large and small, they can dive into the 24-page activity book to solve crosswords, word searches, and other fun puzzles. Also included are 34 reusable stickers, 24 fact cards, and a 3-D poster. Set sail and start exploring! It also includes a 32-page fact book! The Adventure Pack: Backyard has ll sorts of fascinating creatures live in our neighborhoods, often hidden in plain sight. 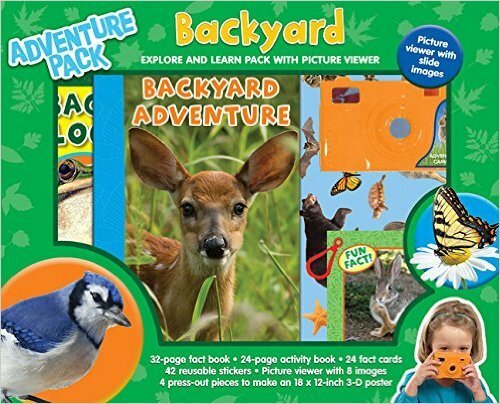 In Adventure Pack: Backyard, curious kids will meet and learn about local animals large and small, and the included picture viewer with eight vivid slide images makes the experience feel even more authentic. After exploring the backyard, kids can open up the 24-page activity book to solve crosswords, word searches, and other fun puzzles. Also included are 42 reusable stickers, 24 fact cards, and a 3-D poster. Lace up your boots and start exploring!